Home » Practice Areas » Defective Products » Chevrolet Cobalt Recall, Pontiac G5, Solstice, Saturn Ion, Sky Recall. The New York Times is reporting the families of people killed or injured in crashes involving General Motors cars that had a deadly ignition switch defect will have an extra month to submit claims for payment under G.M.’s victim compensation program. Read the New York Times News Article. Kenneth R. Feinberg, who administers the compensation fund, has decided to extend the deadline to Jan. 31 to give more time to families who might not be aware of the program. The extension comes a week after The New York Times revealed the identity of Jean P. Averill, who was killed in a 2003 crash of a Saturn Ion at the age of 81. Hers was the earliest fatality G.M. connected with the ignition defect. Until informed by The Times, the family had not known of the company’s compensation program or that it was eligible to receive a minimum of $1 million from the fund. At that time, the family said it had never been contacted by the automaker. Check if your car is on the GM Ignition Switch Recall list. For the entire list please check here. GM compensation fund will pay millions to switch-defect victims. The Los Angeles Times is reporting General Motors announced a fund that will pay up to millions of dollars to victims of its defective key switch in this 2005 Chevrolet Cobalt and other small cars. Read the Los Angeles Times News Article. A special victims-compensation consultant hired by General Motors announced the details of a sweeping program to pay for the deaths and injuries caused by faulty ignition switches in millions of the automaker’s small cars. Attorney Kenneth Feinberg said Monday that he will begin evaluating victims claims starting Aug. 1 and will start to pay damages from a GM fund within 90 to 180 days from when a claim is submitted. The program provides a sliding scale of payments depending on the severity of injuries or whether a person was killed in a crash that is linked to the defective switch. It will range from $20,000 for someone who is slightly hurt to more than $5 million for a 25-year-old who was married with two children and earned $75,000 annually. “We will work closely with all individual claimants and their lawyers in evaluating individual claims and reaching a determination as to eligibility and value as soon as possible,” Feinberg said. GM filed 2,004 injury reports tied to recalls, the group says. Driving news site is reporting General Motors Co. (GM) filed 2,004 reports on injuries and deaths stemming from accidents in cars that have been recalled for ignition-related defects, the Center for Auto Safety said. Read the News Article. All of the ignition-switch victims must be found before they can be compensated, the safety group said in a letter yesterday to Kenneth Feinberg, a lawyer hired by GM to advise it on helping victims of accidents tied to the defect. The letter to Feinberg comes the same week as a report by Anton Valukas, hired by GM to probe its handling of the defect, is due. General Motors (GM) is being pulled into Congress to see if they delayed the recall resulting in more injuries. The New York Times is reporting a House committee has started an investigation into the delayed response by General Motors and federal safety regulators to complaints about faulty ignition switches that have been linked to 13 deaths. Read the New York Times Article. Fred Upton who is the committee’s chairman has looked into the issue of unheeded consumer complaints about defective cars before. Mr. Upton led a subcommittee in 2000 that investigated the rollovers of Ford Explorers with Firestone tires; this problem was eventually linked to 271 deaths. GM Recalling 1.6 Million Vehicles Linked to Fatal Crashes. CBS News is reporting General Motors (GM) doubled the number of small cars it is recalling to 1.6 million to fix faulty ignition switches linked to multiple fatal crashes. General Motors now says it knows of at least 13 deaths and 31 crashes that may have been caused by the problem according to CBS News. GM previously announced the recall of more than 780,000 Chevrolet Cobalts and Pontiac G5s. GM is now adding 842,000 Saturn Ion compacts, Chevrolet HHR SUVs and Pontiac Solstice and Saturn Sky sports cars. Read the CBS News article. The GM vehicles being recalled include Chevrolet Cobalts and Pontiac G5s from the model years 2005 through 2007; Saturn Ion compacts from 2003 through 2007; and Chevrolet HHR SUVs and Pontiac Solstice and Saturn Sky sports cars from 2006 and 2007. The majority of the cars were sold in the U.S., Canada, and Mexico. 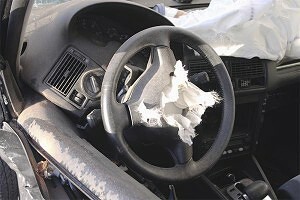 If you or a loved one has been injured due to defective GM ignition switches, contact Cellino & Barnes today at (800) 888-8888.